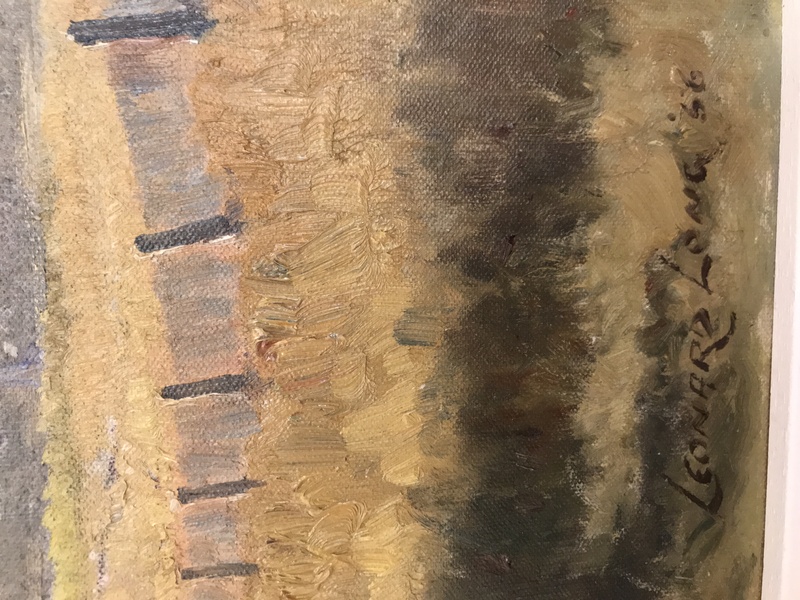 I have an original oil on board Leonard Long painting entitled Tawonga Road, Ovens Valley, Victoria given to my father on leaving Australia in 1961. The picture is signed Leonard Long 1956 and is approx 800mm x 650mm in size. Need a valuation. JA: I always love having an appraiser look at my stuff. Sometimes its turned out to be surprisingly valuable. Is there anything else the Antiques Appraiser should be aware of? 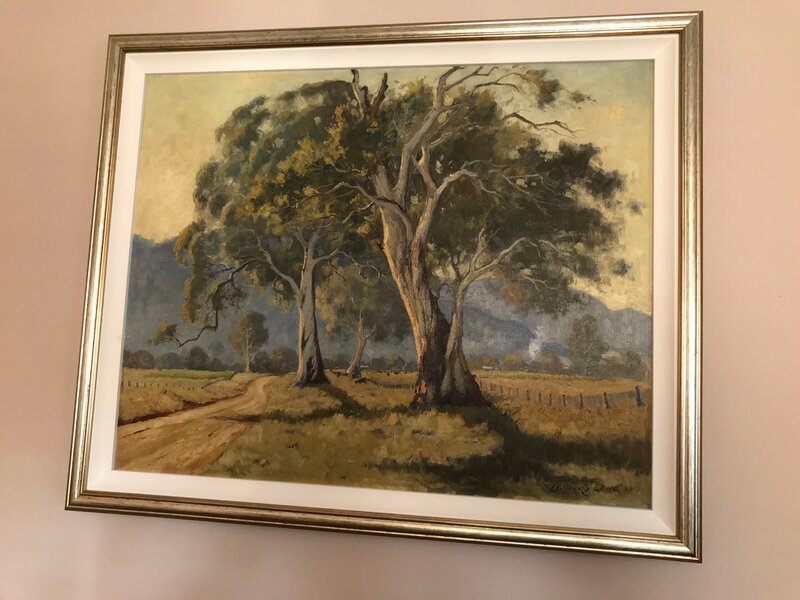 Customer: I have an original oil on board Leonard Long painting, signed Leonard Long 1956 and entitled Tawonga Road, Ovens Valley, Victoria. Size is 800mm x 650mm. Interested in current valuation. Painting given to my father in 1961 on leaving Australia for the UK. Expert: Rarewares replied 30 days ago. Customer: replied 30 days ago. is a listed artist from Australia known for painting. This 1956 landscape by the artist is valued at 3500 to 4000GBP resale. Some ideas to sell, try ads on these sites; http://www.masterpieceonline.com, artbrokerage.com, askart.com, artnet.com, artvalue.com, or artprice.com. You can also go to invaluable.com or liveauctioneers.com and search their directory for an auction house near you and consign to them. You are welcome. Do click the stars to end this one.